Allowed logging in and registering which was compatible with the website. Overall purpose was for booking bikes from stations, route finding and station information. 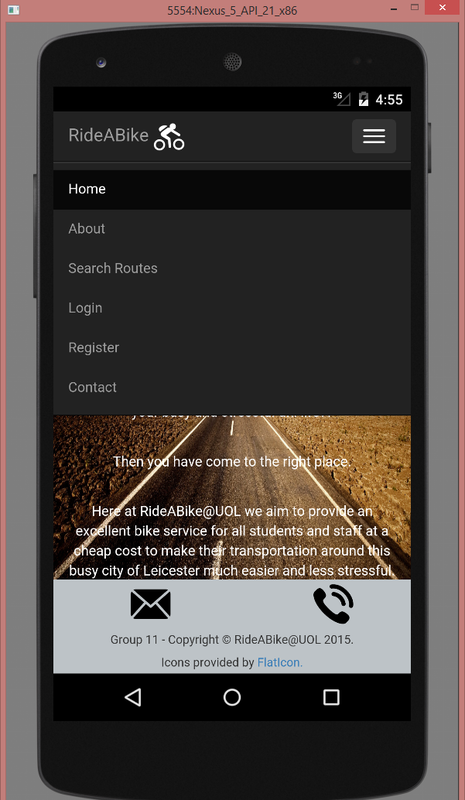 Back-end was set up using Cordova. Websockets were used to interact with the server and send and receive information.